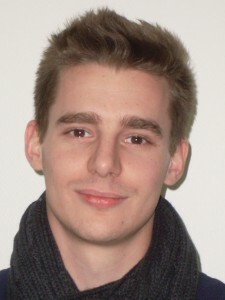 Clément Bonnet (researcher in environmental economics and energy at IFP Energie Nouvelles) will present his article “Copper at the crossroads: Assessing the impact of low-carbon energy transition on a non-ferrous and structural metal”. The objective of this article is to evaluate the impact of the energy transition on the copper sector. It aims to establish to what extent the available quantity of copper and the development of the industry can be a risk factor for the low-carbon transition. The starting point of this analysis is the following observation: at service rendered equivalent low-carbon technologies consume more copper than conventional technologies. In view of the magnitude of the technological changes in the transport and electricity production sectors that the energy transition requires, the analysis conducted in this article focuses on these two sectors. The research question aims to know the quantity of copper consumed by 2050 due to the decarbonisation of the transport and electricity production sectors. On the basis of this result, we assess the impact on copper resources of two public policy options. The first is that of a gentler mobility. We compare a “high mobility” scenario to a “low mobility” scenario. These two scenarios are distinguished by the assumptions made on urban sprawl, the nature of urban coverage and the levels of demand for different types of vehicles according to their technical and environmental characteristics. The second public policy option evaluated is the development of the copper recycling sector. To do this, we quantify the impact of recycling on the availability of copper and highlight the fact that recycling helps to reduce the pressure on the supply side and thus reduces the risk of production bottlenecks.